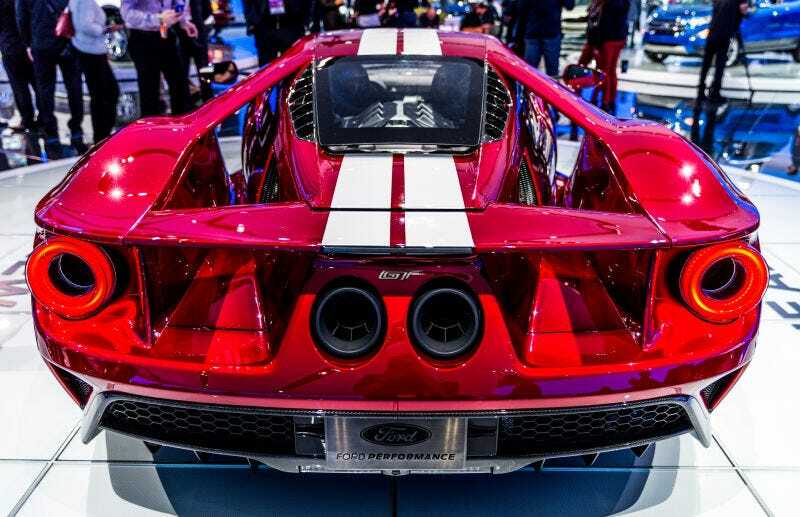 Anytime we asked Ford for definitive specs on the new Ford GT, we were always met with vague answers. “More than 600 horsepower,” it was said. But now we know the exact figures – 647 horsepower and 550 pound-feet of torque out of its twin-turbo 3.5-liter V6. As if to provide some sort of comparison, Ford says that the GT will best both a McLaren 675LT and a Ferrari 458 Speciale around Calabogie Motorsports Park (?????????) in Canada. Maybe the Nurburgring was busy the past few years. Do you really care about silly horsepower to weight ratios though? You do not. All you need to know is that it’ll be fast enough to rip your flesh from your bones in the most pleasant, adrenaline-fueled way possible. You’ll be smiling as you’re screaming.